We will welcome you just a few steps far from the city and a few meters from the fair activities. Spacious, bright and comfortable rooms will accomodate you in our building to allow yourself a full relax, after a working-day or a day visiting our beautiful city. Free and accessible Wifi in all our building. For your amusement, you will find information about the city and the surrounding area or to complete your programs after the working-days. Free parking, set in the inner of our building with the possibility of a covered parking, a foot access during trade activities! Double room with a sofa bed which can be used for an extra sleeping accommodation. 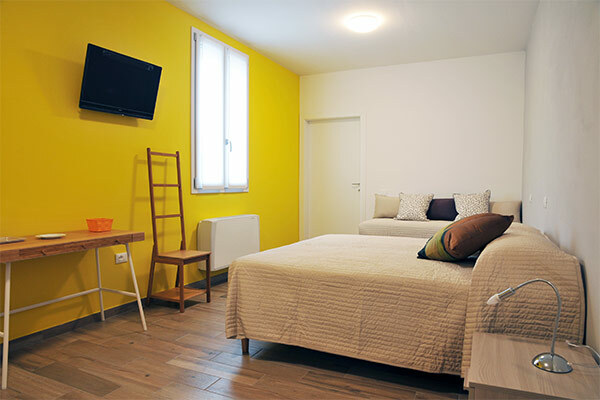 The room has private bathroom with a shower and a hair-drier, tv, wifi, air conditioning and heat available. Triple room with a spacious queen-size bed and a single bed. There is a private bathroom with a shower and a hair-drier, TV, WiFi, air conditioning and heat available. 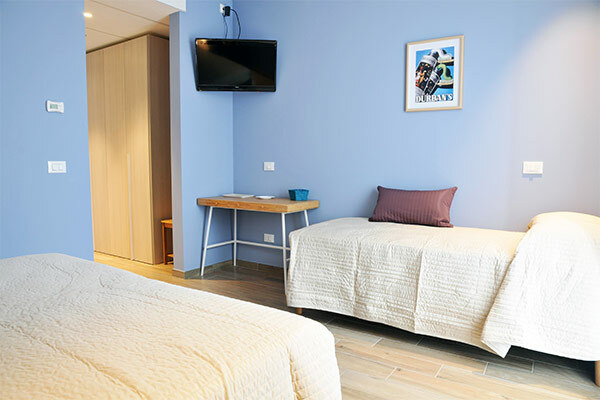 Double/Triple room accessible at 100%. Additional indipendent entrance at the ground floor, wide bathroom for handicapped. Best comfort also for disabled people who need the appropriate solutions. Where cen you find the perfect match? You can relax in our closed court farm and having at your fingertips many curiosities . There are also a lot of events which are organized during all the year by the fair corporations of Cremona. "Arts of Cremona", "Exhibition of American horses", "World of music", "International fair of dairy bovine", "Bontà". These are well-known and strong call events. We are located just a few meters far from the exhibition center with a foot access to the fair! You can stay in our building relaxing and taking part to the events that you interest the most!. "A show which is worth to dedicate a few days"
Cremona is a small city, but as you had the opportunity of seeing, is wealthy of culture, tradition and events that you cannot miss. To make your sejourn more pleasant, we have the pleasure to host you "in cascina"! Our staff waits you and desires to make you feel at home! Deliver your email, we will send you our promotions.